Summary: How can teachers create effective prompts that motivate students to show what they can do as writers? 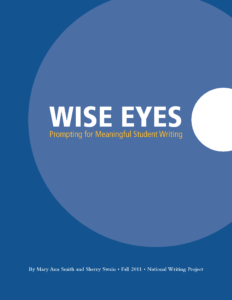 Focusing on purpose, audience, authenticity, and accessibility, the authors of this short book analyze existing prompts and provide guidelines for teachers in developing their own prompts for different modes of writing. They also consider adaptations for culturally or linguistically diverse learners. Excerpts from this book may be particularly useful in school-based professional development partnerships, as well as in teacher inquiry focused on assessing student work.